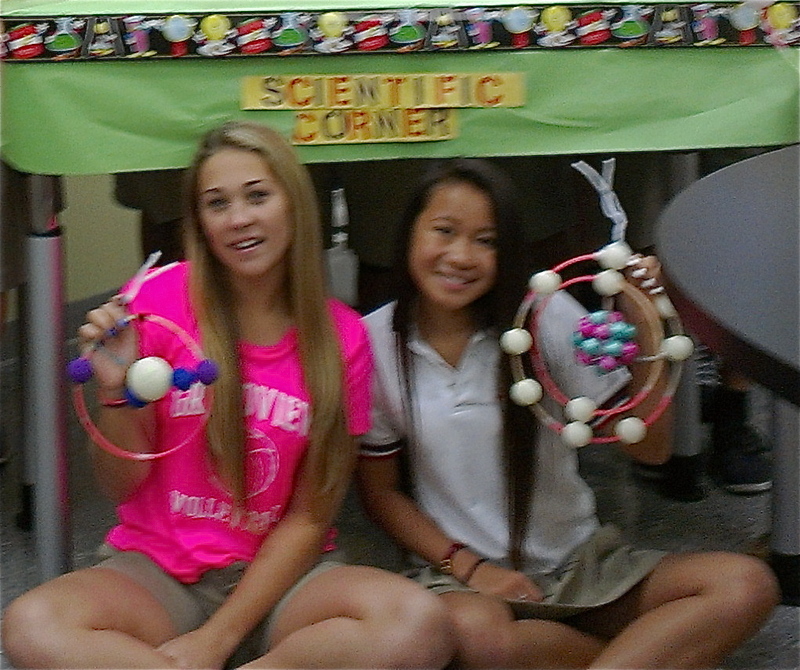 In honor of Mole Day, which was on October 23, let’s take a peek into Dr. Wojcik’s honors chemistry class! 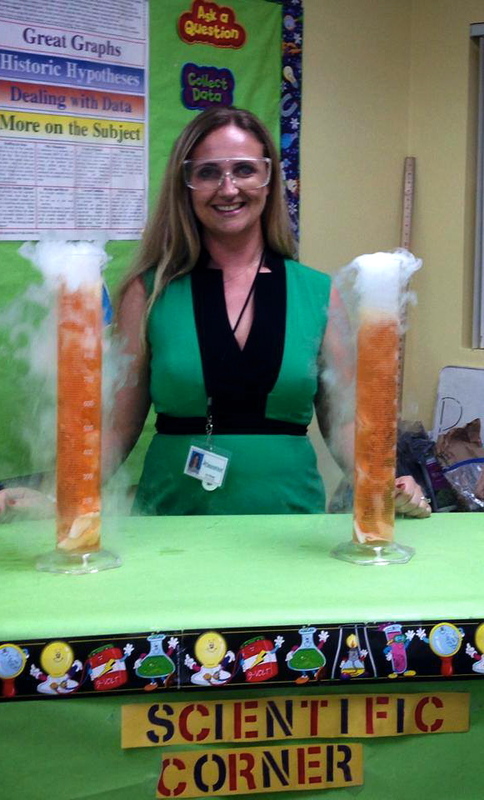 Dr. Wojcik showing off in her Scientific Corner. What is Mole Day, you ask? Some very well-informed students canvassed the campus on Wednesday distributing Mole Day goodies and explaining to those of us who have had many years since a chemistry class. Mole Day is celebrated each year on October 23 from 6:02 am to 6:02 pm to commemorate Avogadro’s Number, 6.02 x 10²³. Referred to as a mole, this number is a basic measuring unit in chemistry. 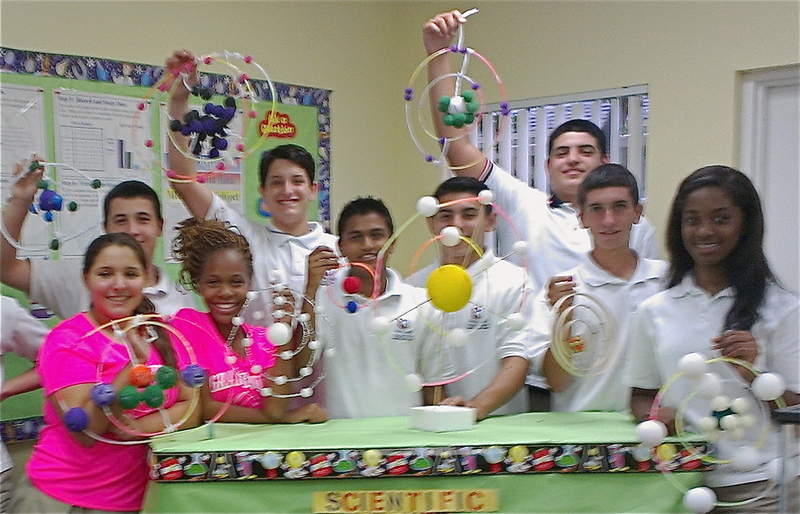 Students across the nation celebrate Mole Day with fun projects and activities. 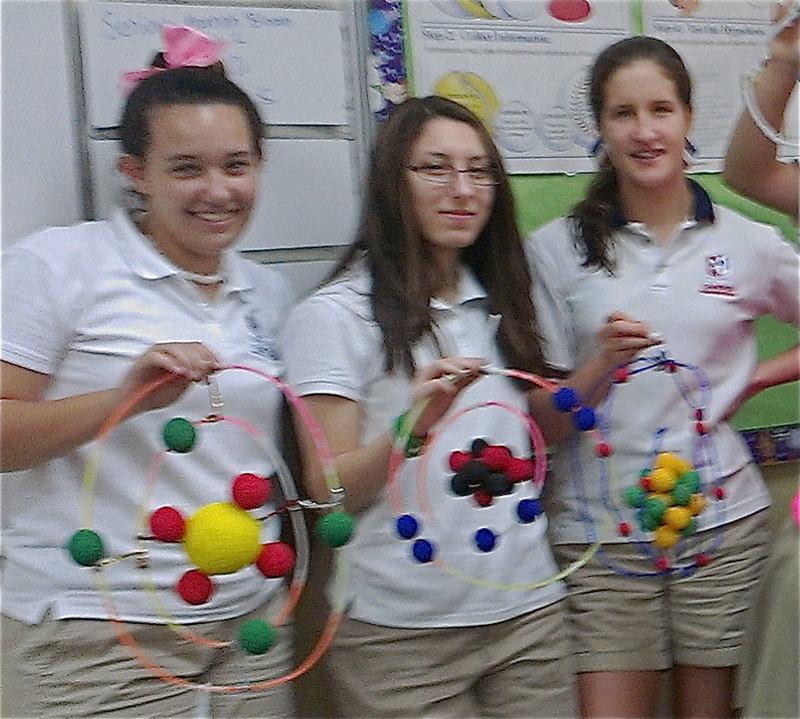 These particular students kicked off Mole Day with a presentation of atom models that they created to represent different elements. 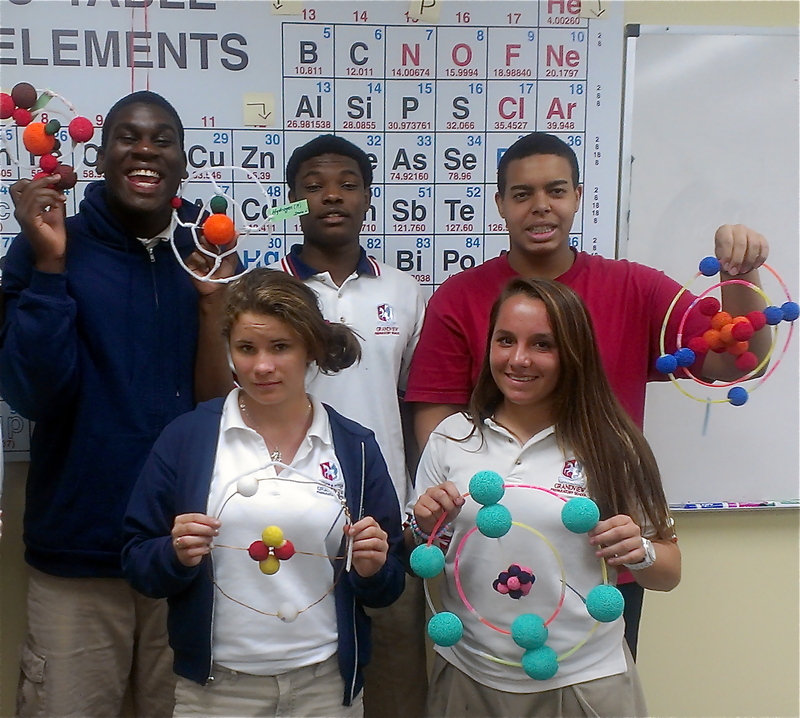 As part of the project, each student named the element and chemical symbol representing it, stated the atomic number and atomic mass (in moles!) along with the state of matter and the chemical properties of the element, and connected the element to the natural world by answering questions about where the element is found, how it is used, and how it was discovered. 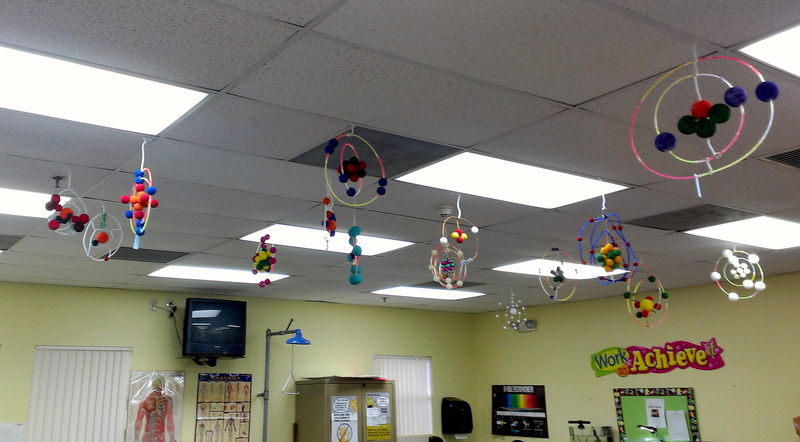 This hands-on project allowed students to creatively explore the elements and are great decorations for Dr. Wojcik’s chemistry lab! I got to eat some Skittles for Mole Day! The class passed them out with a note explaining how many Skittles would be needed to make a Mole…..very clever!